The first Doors Open Day (La Journée Portes Ouvertes) took place in France in 1984. The idea soon spread to neighbouring countries, including the Netherlands, Sweden, the Republic of Ireland, Belgium and Scotland. In 1991, these events were united as European Heritage Days at the initiative of the Council of Europe. In 2003, all 50 signatory states of the European Cultural Convention participated in European Heritage Days. Every year, Doors Open Ontario attracts large crowds across Ontario. From April to October, residents and visitors are invited to discover first-hand Ontario’s hidden heritage treasures, some of which have never been open to the public. Since the program was launched in 2002, over 7.3 million visits have been made to heritage sites participating in this exciting initiative. 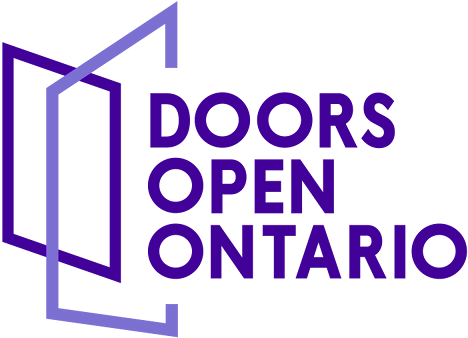 Doors Open Ontario, now considered a cultural phenomenon, will continue in 2018 with hundreds of communities participating across the province.